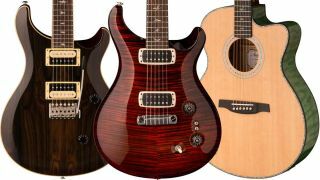 NAMM 2019: PRS has got in early with its product announcements for next year, unveiling a host of new electric and acoustic guitars in what is likely to be the first wave of several in the run-up to the show. 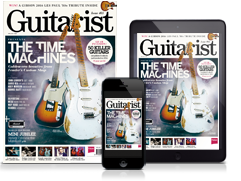 New electrics include a revamped Paul Reed Smith signature model (aka Paul’s Guitar), the CE 24 Semi-Hollow and a Ziricote-finished SE Custom 24, while fresh SE acoustics are also in the offing. Scroll on down for the lowdown from PRS, and pop on over to PRS Guitars for more info. We'll update this article with prices as soon as we get 'em. Historically, the Paul’s Guitar (like the Modern Eagle before it) has been a realization of Paul Reed Smith’s latest discoveries surrounding tone. This revamped model represents Paul’s vision not only as a guitar maker but as a guitar player who needs versatile stage- and studio-ready gear that can achieve all the right tones. As a man who has every option available to him, Paul’s personal design choices include mahogany bodies with maple tops, Honduran rosewood fretboards, Nitrocellulose finishes, “Brushstroke” bird inlays, and narrow pickup bobbins. The Paul’s Guitar model also includes PRS’s TCI (Tuned Capacitance and Inductance) treble and bass pickups with two mini-toggle switches that allow players to put either or both pickups in either humbucking or true single coil mode. On the acoustic side, PRS Guitars has expanded its assortment of SE Angelus and Tonare Grand models with both new wood combinations and new colors. The SE A55E and T55E continue to bring PRS’s Private Stock aesthetic to the SE Series with quilted maple back and sides offered in two colors: classic Black Gold Burst or striking Abaco Green. The SE A60E and T60E also bring arresting aesthetics to the assortment, with ziricote back and sides, curly maple binding and heel cap, and abalone purfling and rosette details. Both the 55 and 60 series acoustics feature solid spruce tops PRS’s hybrid classical/X bracing, bone nuts and saddles, and the Fishman GT-1 pickup system. Rounding out the acoustic additions are burst options for the 40 and 50 series guitars.